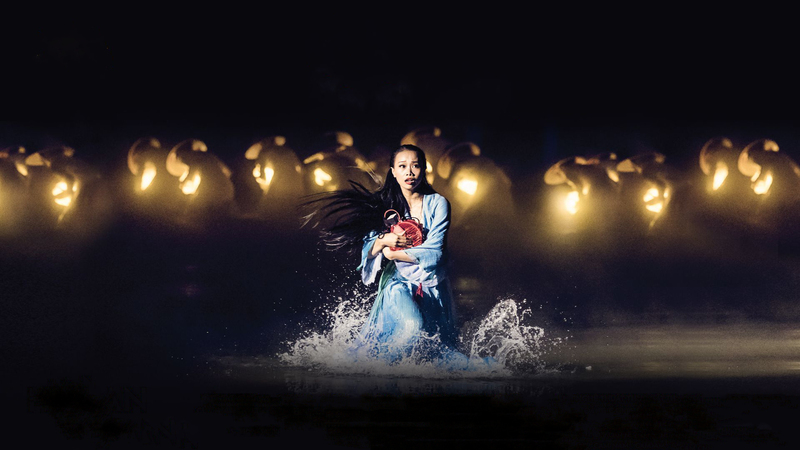 Vietnam's largest real scene show, a story recounts Vietnamese culture by Vietnamese, recreating a bustling Hoi An commercial port through more than 500 professional actors, 3300 seats, 25,000ha stage. Originally known as Faifo and more than 2000 years old, Hoi An is a beauty city just in from the coast about 17 miles south of Danang. The Old Town here is a perfectly preserved ancient town that has been recognized by UNESCO as a World Heritage Site. Access is gained across the Japanese Bridge, a unique 400 years-old wooden structure. It was originally the deepest sea port in the country but as Danang increased in importance the port here silted up, leaving almost a ghost town. The dry sea air caused all the old buildings to remain ion near perfect conditions. For the holiday maker it makes a near perfect base. The town is picturesque and packed full of fascinating things to see and do. The restaurants here, particularly down by the riverside, serve some of the finest food in the country. 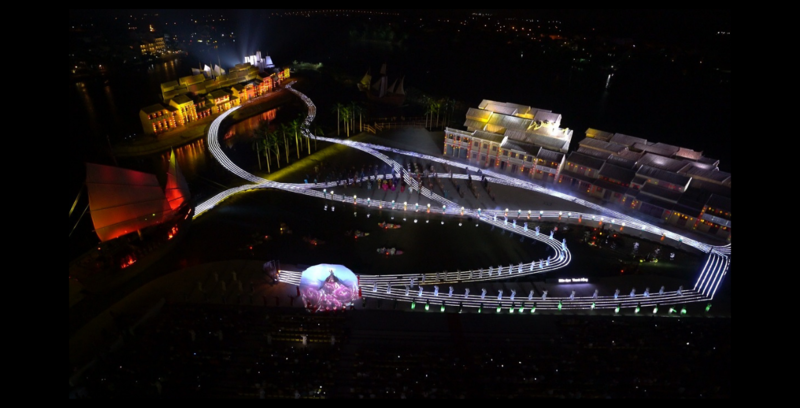 Proud of the mission to spread Vietnamese cultural beauty, located in a prime position on the historic island of the ancient town of Hoi An - dubbed "Wonders on the Hoai heritage river", Hoi An Impression Cultural Themes Park is the first cultural theme park in Vietnam including a combination of: HOI AN MEMORIES SHOW - Vietnam's largest real scene show, a story recounts Vietnamese culture by Vietnamese, recreating a bustling Hoi An commercial port through more than 500 professional actors, 3300 seats, 25,000ha stage, performed every night except Tuesday night. 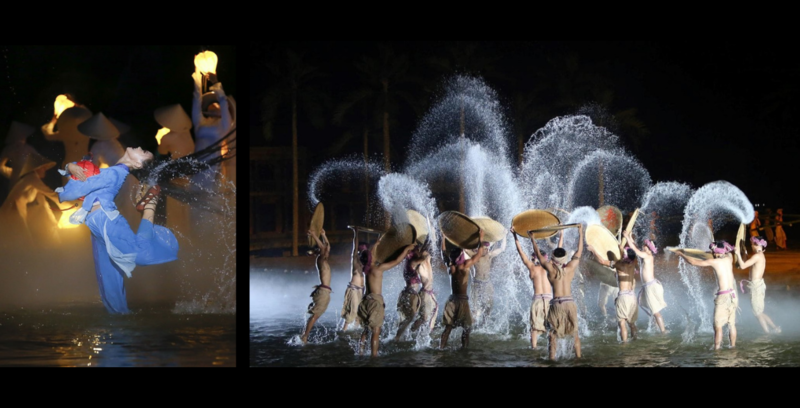 The program gathers top advisors in area of culture and history with many top-world real scene art experts, inspired by the ancient town of Hoi An’s girls with charming traditional Ao Dai, symbolizes the timeline of more than 400 years of ups and downs of Hoi An- ancient town. 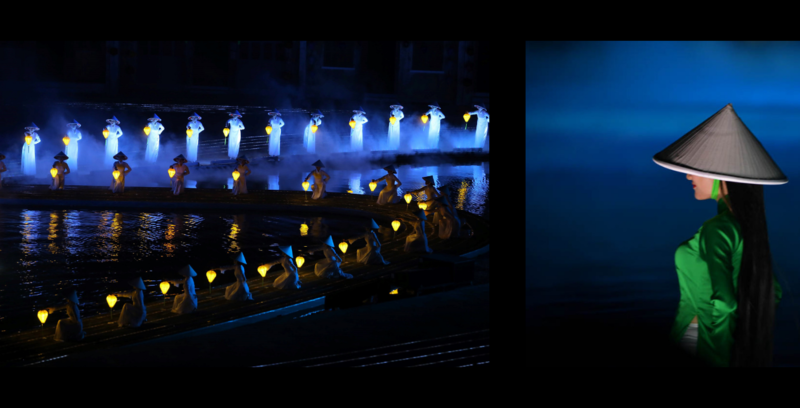 Show time is from 19:30 to 20:30 except every Tuesday evening. Life of the people of Hoi An with fishing sticking to the sea, growing rice. The Hoi An loyal girl, waiting for her husband to overcome many difficulties. The bustling harbor trade, where many cultures are exchanged. Open time from 16:45 to 21:30 except every Tuesday night. Spirit subdivision is designed according to 3-storey pagoda architecture of the North and Vietnam. 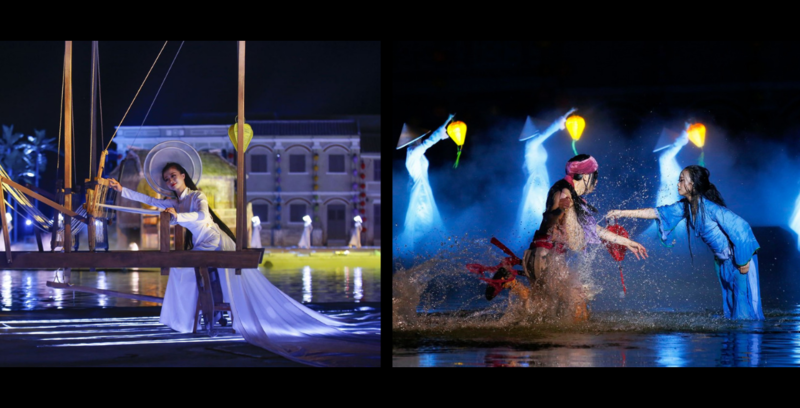 Welcome four-way tourists to Hoi An is a performance to recreate the flourishing port town in the past. The story of the hero of the Cremation Camp has bravely destroyed the evil tiger to bring peace to the people that they witnessed for transmission. Heroic and brave system of Quang Nam people in particular and Vietnamese people in general. Story of fateful love handed down in history books between the girl picking strawberry and farming and Prince Nguyen Phuc Lan ... She was later worshiped as the God of Tang Tang. Is an art performance program to rebuild a frame of a pub - entertainment venues of the upper class. The story about the custom of matchmaking and marriage in the past. This drama in addition to vividly reproducing a unique culture, it also brings very unexpected and funny emotions. 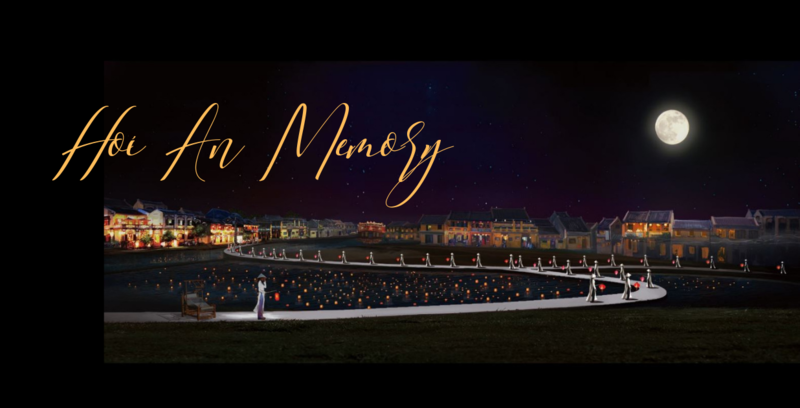 It is Princess Ngoc Hoa's love affair with businessman Araki Sotaro from Phu Tang country portraying any love affair in the friendship of the two countries. Vietnam - Japan.